Little Norway, located just west of Mount Horeb, Wisconsin, was an open-air museum of an idealized 19th century Norwegian homestead that operated for over 75 years. 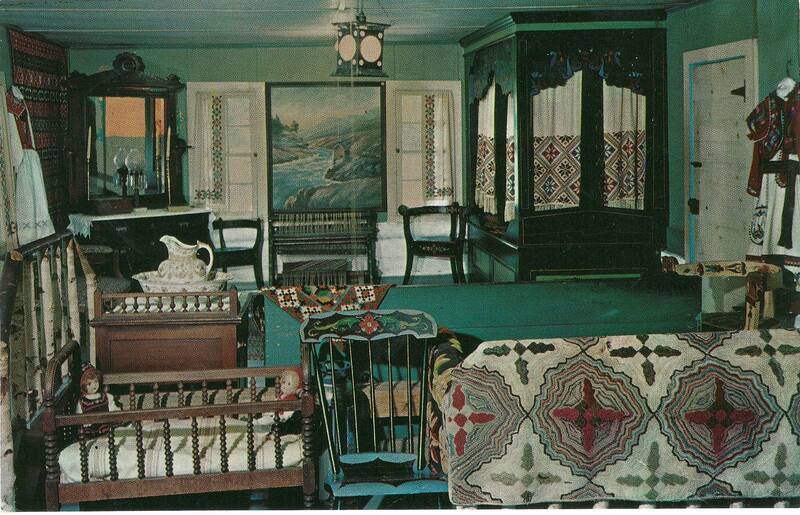 Little Norway began through the efforts of Isaak J. Dahle who was born in Mt. Vernon, Wisconsin, February 1, 1883. As a child Dahle was fascinated with collecting objects, displaying his finds in cases in his bedroom. After college, he became a successful businessman in Chicago. In 1926 he took his mother on a first-class tour of Europe, including the country of their ancestors, Norway. Inspired by farms in Norway, Dahle purchased a small run-down farm west of Mt Horeb in 1927, intending it to be a summer retreat for his friends and family. Over the next few years he hired carpenters, painters and stone masons to renovate the property into an idyllic Norwegian farm. Some of these craftsmen were out of work during the Depression and most, like painters Per Lysne and Olaf Colberson, were of Norwegian decent. Dahle advertised locally for ethnic antiques to furnish the buildings, and a Chicago interior decorator he hired toured Norway and shipped crates of artifacts back to America. Additionally, rustic log furniture was constructed from trees on the property and plain antiques were made “more Norwegian” with the application of ethnic decoration. In 1933 Dahle purchased the Norway Pavilion from the 1893 Chicago World’s Fair and had it moved to his summer retreat. The building’s arrival intensified the interest of curiosity seekers who were often found wandering the site. 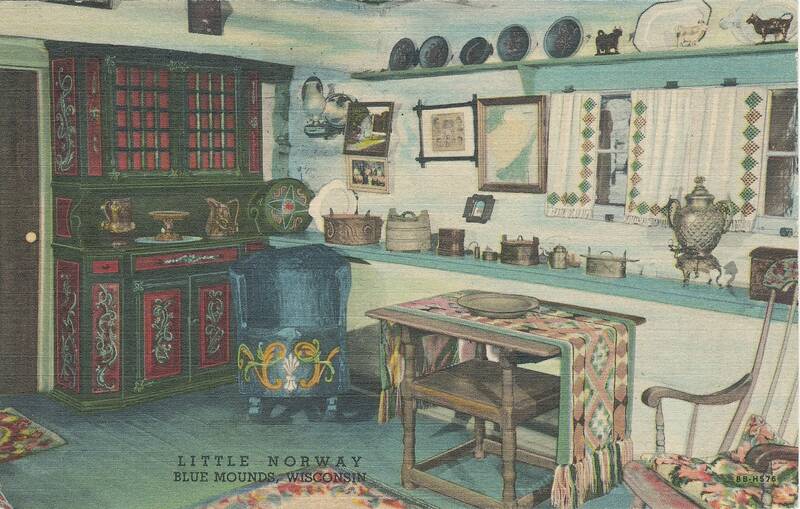 Interest in the property led to the opening of “Little Norway” to the public in 1934. Over the years Little Norway attracted visitors from all over the world. In 1998 the site was listed on the National Register of Historic Places. In the summer of 2012, due to a decrease in attendance and increased costs, Little Norway closed its doors. Thankfully, a number of artifacts were generously donated to and acquired for the Mount Horeb Area Historical Society.